Ron and Paul Jarvis will long have something to remember about Father’s Day 2014. The Atlanta father and son were looking for a fish outing of a lifetime and found it in Chilliwack, B.C. It was the first time Paul, 19, an avid angler, had fished with his dad, Ron, and he hooked into one of the largest white sturgeon ever caught on the Fraser River. 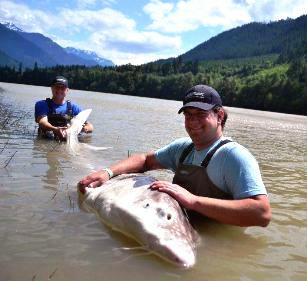 The sturgeon was 11 feet, 10 inches long and 56 inches in girth. Based on a mathematic formula, it weighed more than 880 pounds. “In the first few minutes I had it on the line I couldn’t believe the weight and power of the fish. I am a big guy and I could barely hold on to the rod let alone begin to reel the fish,” said Paul Jarvis, a 6-3, 250-pound college sophomore. “Managing that fish became a true father-and-son challenge. After more than an hour-long battle the sturgeon was brought to shore by guide Dean Werk of Great River Fishing Adventures, who applied a PIT tag for conservation efforts. The anglers got behind it for photos and videos to capture their once-in-a-lifetime catch. 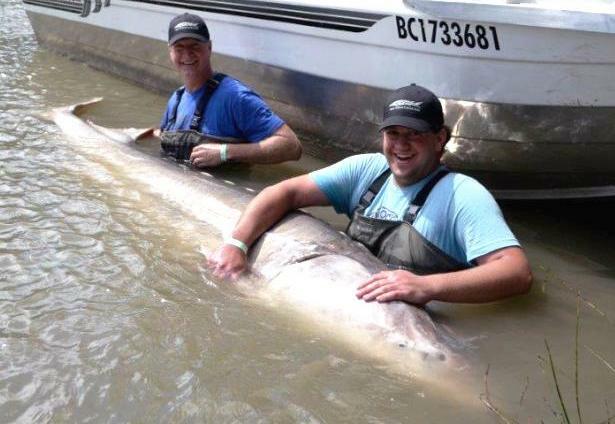 This is the fourth giant sturgeon caught in less than 2 years by Great River Fishing Adventures clients. 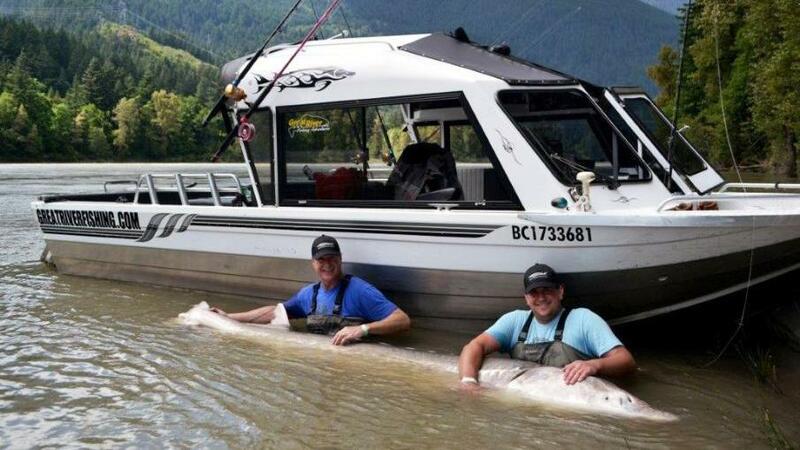 British tourists Michael and Margaret Snell made international headlines with a 12-4 sturgeon on the Fraser River two years ago.